Luisa Iovine is employed by Anchor Legal as Practice Manager. 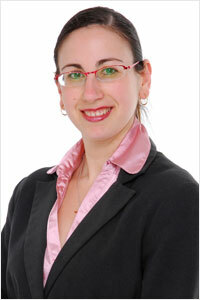 Luisa is an experienced Legal Secretary with over 15 years experience working in the legal arena. Luisa is the person whom you will most likely greet and speak with in the first instance when you call at Anchor Legal. Luisa manages the day to day operations of the firm as well as invoicing, debtor management and providing secretarial support. Luisa conducts all Landgate searches and company and business name searches as well as preparing documents for stamping at Office of State Revenue, filing at various courts, lodgement with Landgate, incorporation of companies and registration of business names. Luisa is also a qualified Dance Teacher and holds a Full Teacher’s Diploma in the Theatrical Branch of the Education Section with the Commonwealth Society Teachers of Dancing. The subjects taught are Modern Dance, Tap, Acrobatics and Classical as well as preparing students for their Teacher’s Certificate and Diploma.